Ontario's animal welfare agency has notified the provincial government that it will no longer investigate and enforce animal cruelty laws. For the first time in a century, Ontario's animal welfare agency will no longer investigate and enforce animal cruelty laws. "The current model is just simply not working," CEO Kate MacDonald told The Canadian Press in an interview. "This is a very significant shift in who we are and what we do." "During the transition period, we will not be accepting complaints or cases dealing with livestock," said the letter signed by MacDonald and Catherine MacNeill, the chair of the OSPCA's board of directors. "We expect to continue to be involved as a support to law enforcement agencies," MacDonald said. "They're going to need help and we're the logical choice." The OSPCA has police powers — it can enforce both provincial and Criminal Code animal cruelty laws — under the OSPCA Act that became law in 1919. Its role came into question in early January when an Ontario court found the OSPCA's powers to be unconstitutional and gave the government a year to remedy the situation. The judge said the province erred when it gave police powers to a private organization without imposing accountability and transparency standards on the agency. The province appealed the decision. MacDonald said the court's ruling was the "catalyst" in its move away from animal cruelty investigations. "The recent decision has helped us to see, truly, that enforcement is a function of government," she said, adding that community members concerned about animal cruelty should contact their local police force or animal control units. MacDonald said the agency's 65 enforcement officers will be offered jobs on the organization's expanding animal rescue arm. "But the government has not yet shown any leadership on this issue," she said. "We are in a time of troubling uncertainty. We need clarity from the government, promptly." "There is no plan in place, no public announcements, there's been little to no communication with stakeholders," she said of the situation in Ontario. "Law enforcement by private charities is no longer appropriate in 2019, and vulnerable animals in Ontario deserve a robust, well-resourced public system," said Camille Labchuk, executive director of Animal Justice. Lynn Perrier, the founder of Reform Advocates for Animal Welfare, said she wasn't surprised at the news. "They haven't been doing their job for ages — at least it's official now," she said. "They have now made an easy path for the government to restructure the animal welfare system in Ontario so our animals will be protected. Let's hope they don't have to wait long." The OSPCA first talked about transforming its operations about a year ago. 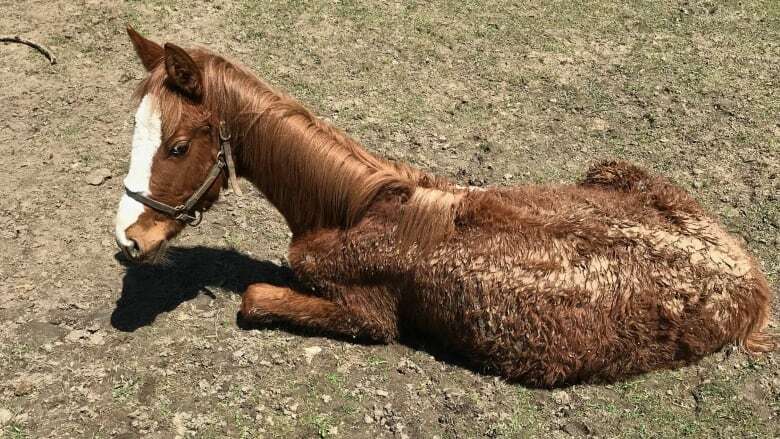 In October, management told frontline officers it planned to pull out of investigating cruelty complaints involving horses and large farm animals, trying to farm those out to the Ontario Ministry of Agriculture, Food and Rural Affairs. Frontline officers were also told they would not longer euthanize dogs involved in attacks as required by law.